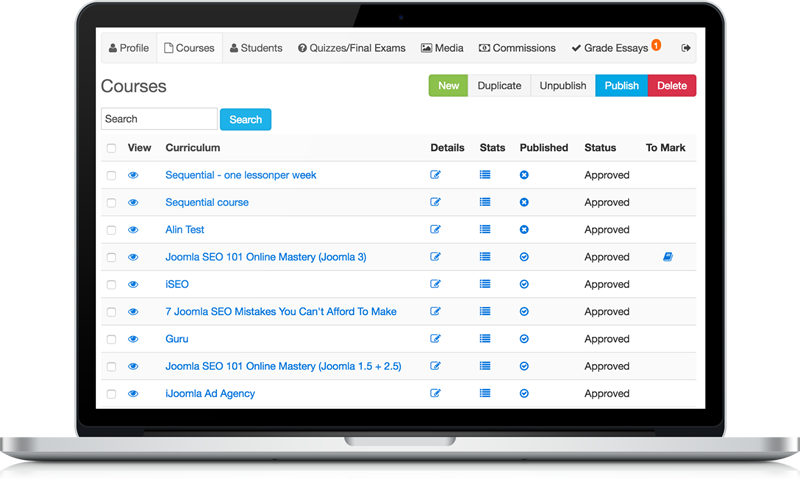 Your teachers can register quickly, receive your approval, then start working on their courses right away. You will be notified when a new teacher requires your approval. When teachers can prepare their courses without the help of the site's admin, all you need to do is review the course and publish. You'll have all the time you need to promote the course, bring in students and make money! 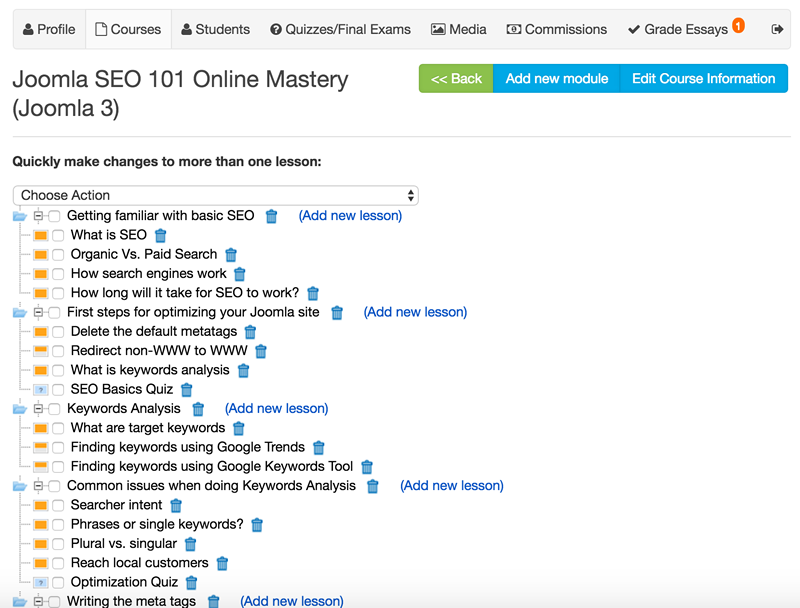 To build a really comprehensive course, teachers will need to be able to add quizzes and media. 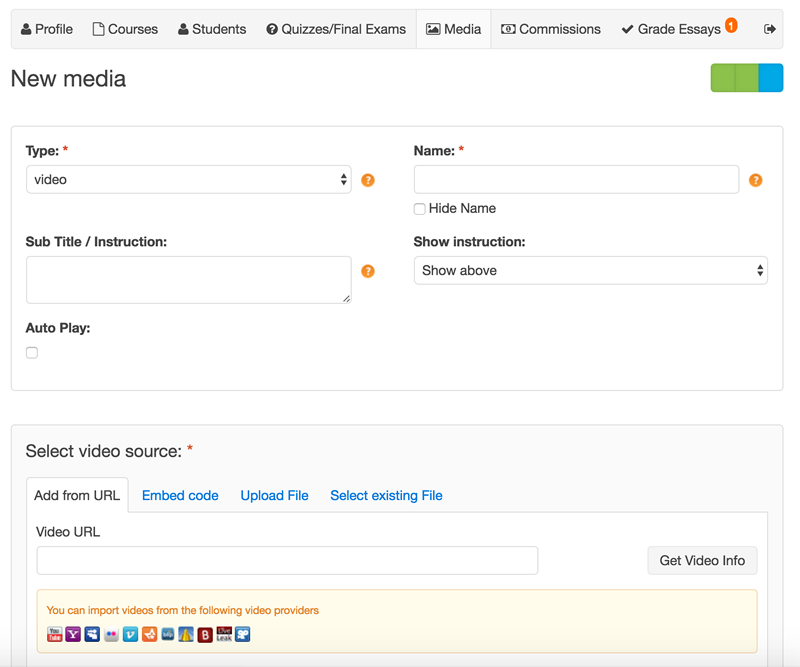 Teachers can do that by embedding media, linking to it or uploading it directly to your server. The teachers' interface also gives teachers stats about their students and full access to quiz results. They can see how well students are doing and receive detailed information that shows which students succeeded where — and where they need to work harder. 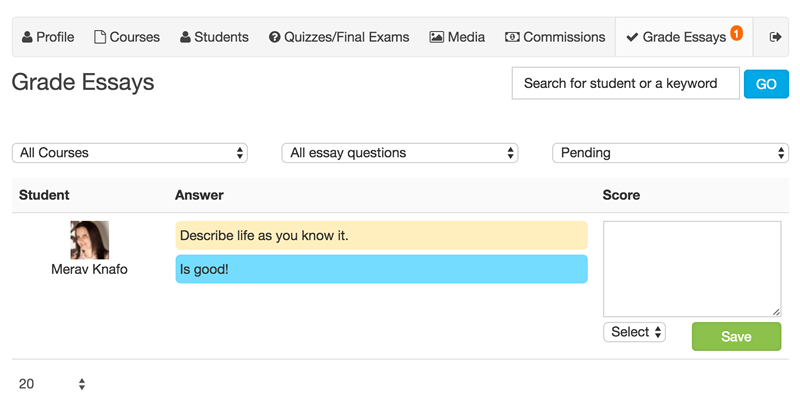 Teachers can easily grade student's essays and even leave a comment.